The Balephi river is a small tributary of the Sun Koshi and 50km from Kathmandu. it joins the Sun Koshi a short distance before Dolalghat. it has blue waters and offers good views of mountains. The river has it's origins in the southern slopes of Mt. Dorjee Lakpa, which is commonly seen north east of Kathmandu. Running to the east of Helambu, it is a fast flowing river that has sttp valley sides. The valley of Balephi is not quite on the trek routes so is unspoit and one comes across charming little villages and terraced hillsides along the route. This area is inhabited by people of various ethnic groups such as Chhetris, Brahmins, Tamangs, Kamis and Damais. A 3 1/2h hour bus ride takes one to the put-in point atJalbire Gaun. Jalbire is the local bazaar. The road goes past - Dolalgnat and Balephi village turning left at the confluence. From here it is another 14 km through a dirt road to Jalbire. The rafters are given safety talk and instructions on the use of paddles before embarking on the trip. This is a short trip on a river that is mostly Class III with encounters with a few Class IV rapids. The river is rocky and technical. It is full of surprises as there are many boulders that obscure the view up ahead. Only by rafting past the boulders does one see what lies ahead. The river goes through forested ateas which are rich in bird life and the tops of distant mountains are also visible. 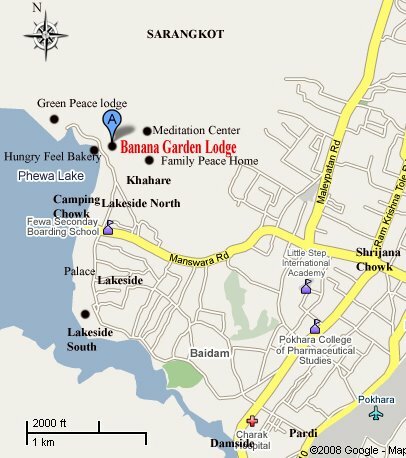 The trip begins around 12 noon from Jalbire. After rafting for 3 to 3 1/2 hours past the Balephi bridge, Sukute is reached which is the put-out point. After collecting all the gear the drive back to Kathmandu begins at around 4:00pm. The best time to go is from October to November.